How do you build a marketplace? Nicolas Perkin is the co-founder & President of The Receivables Exchange, which connects businesses to a global network of qualified buyers, who compete to buy invoices through a real-time marketplace. Right now The Exchange is operating at a billion dollar run rate. Here’s how he did it. Nicolas Perkin is the co-founder of The Receivables Exchange, which connects businesses to a global network of qualified buyers, who compete to buy invoices through a real-time marketplace. Andrew: Before we get started, tell me if you’ve got this problem. You’ve got a great product but you’re not getting people to even try it, let alone buy it. Well, the problem is probably that you’ve got too much text on your site. But check out what these start-ups have done. Here’s Snapengage, they’ve got a video explaining their product right underneath the free trial button. Here is Sendgrid, right next to the get started button is a video explaining the product. Video, much more than text, helps people understand what you’ve created and convinced them to try it and buy it. The company that I’d recommend that you turn to for this, it’s Revolution-Production, same company that did both those start-ups and many other’s videos. Revolution dash Productions, and when you go to their site, Revolution-Productions.com, and contact them I want you to talk directly to the founder, Anish Patel, tell him I sent you, he’ll take great care of you and make sure that you have a good video that convinces people to try your product. Next sponsor is Grasshopper.com, and I want you to think of them as like adding super powers to your phone. Want extensions, you can add it. Want a phone number that catches you anywhere you are, you’ve got it. Want to take your voice mail messages maybe and convert them into text, you’ve got it. Anything that can be done with a phone, pretty much anything, I can’t imagine what you can’t do, Grasshopper.com will do it in a very user friendly environment so you can keep adding features and adjusting them yourself. Grasshopper.com. Finally, Scott Edward Walker is the lawyer that I’ve been recommending long before he even paid me for sponsorship. I don’t know Scott why you even bother paying me, I’ve been telling people for years to try you, but you do. So I’ll tell my audience right now, if you need a lawyer, if you’re an entrepreneur, especially if you’re a tech start-up entrepreneur, go to a lawyer that I recommend and as you can see on this website, Jason Calacanis, Neil Patel and many other entrepreneurs recommend, Scott Edward Walker of Walker Corporate Law. All right, I’ve talked too fast and for too long, let’s get right into the program. Hi everyone. 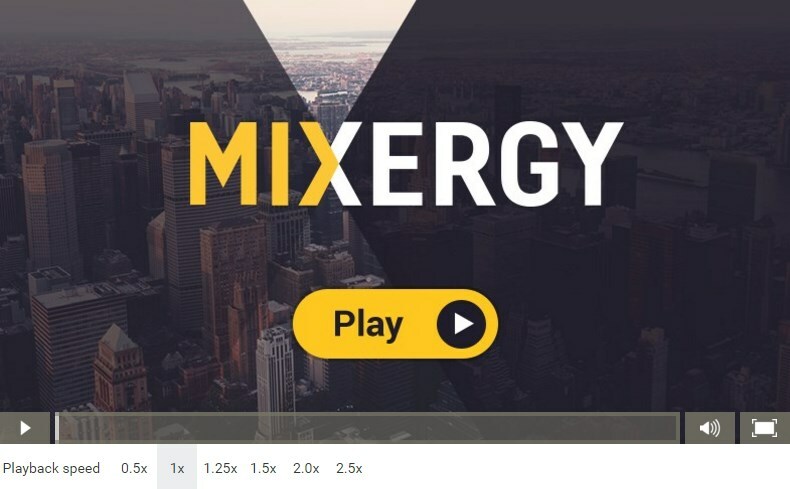 My name is Andrew Warner, I’m the founder of Mixergy.com, home of the ambitious up-start, the place where successful entrepreneurs come to tell you the story behind their businesses. How do you build a marketplace? Nicolas Perkin is the co-founder and president of the Receivables Exchange, which connects businesses to a global network of qualified buyers who compete to buy invoices through a real-time marketplace. Nicolas, how much, what’s the dollar amount of invoices that you guys do on an annual basis? Nicolas: Well, right now we’re operating at a run rate of about a billion dollars. Andrew: One billion, with a “b”. Nicolas: With a “b”. We have a fairly strong growth rate so that can always change on the upside, but at the current numbers we’re looking at about a billion on the small-medium size of the business out of our market. The large corporate size, is another segment that we’ve gone into that ostensibly could be in the billions as well this year. But that’s a newer product. Andrew: Alright, I want to make sure that my audience understands what the exchange does. Let’s give them an example. How about, let’s use me as a fake example here. Suppose, the Walker Corporate Law Firm that buys ads from me buys a hundred thousand dollars worth of ads. I sent them an invoice today and now I’ve got a hundred thousand dollars due to me and I need to pay my employees here in the company. What do I do? How do you help me get that hundred thousand dollars and not have to wait sixty or ninety days to collect it? Nicolas: So, the basic premise is a fairly easy one. The idea is that while people owe you money, you have to operate your business and you owe them money. So, you know, you’re keeping the lights on, your paying rent, your paying salaries and so forth. Typically, there’s sort of a natural tension between companies with this concept of invoicing or setting up receivables, which obviously have different terms associated with them, you know, thirty days, sixty days. I think the average is being paid in fifty plus days. You know, these are typical pays these days. But, the idea is a pretty simple one, if you’ve got invoices outstanding and you have capital needs for your business, you can register with our platform, which is ReceivablesExchange. Become a registered seller of receivables and as one you get to pick from whatever inventory of receivables you have, which invoice you’d like to sell. You get to set the price, so you would say: alright, I want to pay this amount, I want to pay no more than this amount. Then you go into platform. Andrew: What do you mean pay this amount? If I’m owed a hundred thousand, what would I have to pay? Nicolas: Typically our sellers are paying between one to two cents per dollar. Another way to look at it is they are receiving between 99 and 98 cents per dollar of their [??]. Andrew: Gotcha. So it’s how much do I want for this $100,000? Nicolas: Yes. Do I want to pay one cent? Do I want to pay two cents? You would set that price and then institutional buyers, hedge funds, banks, traditional factors which is sort of the ancestor of the online version of what we’re doing here. You’ll see a lot of differences between what we do and what they do. Traditional factors, family offices, any source of institutional capital that is signed up as a buyer and goes through a process to become a registered buyer and as one they can bid on your invoices. They see the information about your invoice go live and they can buy as little as 1% of it, they can buy 100% of it, but basically enter into an active electronic marketplace with all the other buyers and compete with them to buy your invoice. The net result is that because of competition typically what you’ll see are sellers, like yourself, getting to what we would see as the market efficient price for your invoices, which would be the lowest price that a market would bear. As such, you get your funds into your business. When that transaction closes, the seller puts up the invoice, the buyer buys it, and when that closes and you receive the funds, the $.99 on the dollar, at the end of the day you get that capital faster and you can deploy it to your business. Andrew: It comes right into my account, I can start to use that. I can pay off my people, I don’t have to wait the 60 days or 90 days. Nicolas: Right. Typically it’s in your account within 24-48 hours. Nicolas: As such, you can use it for whatever you need it for in your business. The idea is that it accelerates invoices into your business so you can use it for working capital. We refer to it as an active working capital management tool. Basically, you know how much capital your business needs and you know what your invoices are. You pick which invoice, you set the price, you sell it, and you bring in exactly the amount of money that you needed for your business. Andrew: Got it. This is a billion dollars worth of invoices that includes my $100,000, my fake $100,000 in there, and includes people who need to collect much more than that. Andrew: Before this exchange, what was the world like? What is it that you’re trying to organize in your marketplace? Nicolas: Right. There are lots of different tools for working capital management. You can go and get a bank line, you can get a revolver, you can go get some kind of business loan for your company. In many cases entrepreneurs will do personal loans, leverage some of their personal assets. You can get equity infusion into your business in another source of capital. There are lots of different mechanisms for accessing capital. Our tool is for what we would refer to as active short term capital management which are the daily and monthly needs of your business. What was happening before was people were taking out loans, people were going to banks, people were going to traditional factors, they were finding any mechanism to access capital for their business. Our view of it was it was tremendously inefficient. Not only has the velocity of business increased and the time that entrepreneurs and managers have to allocate to accessing capital is such that actually going down to your bank loan officer and spending time with them, you just don’t have the time to do it. From our standpoint, the owner or the CEO of a business is spread thin from a time standpoint allocating their time across a numerous amount of initiatives. Accessing capital is just one of them. Take for example our sellers who when flying from Point A to Point B, go online, put your invoices up for sale, but the time you land it’s sold. The next day the capital is in your bank. That’s the kind of efficient time management that a lot of these entrepreneurs are looking for and on top of that the pricing is market base so it’s competitive. There’s a bunch of other things that go into it. A big part of it is resource and time allocation. Andrew: Let’s go back in time and figure out where this idea came from and how you built this up because this is a great idea and it makes sense when you’re talking to me about it as an entrepreneur, to be able to put my invoices up in this marketplace when I climb into a plane and see money in my bank account soon afterwards when I get off the plane. That’s huge. I want to know how you made this happen. Let’s go back in time, where did the idea come from? Nicolas: My business partner, the CEO of the company, the other co-founder, Justin Brownhill, and I knew each other from back in New York. I was working in fixed income trading technology. He was working in a company called LAVA, which is on the equity side of the business, electronic and equity side of the business. We got to know each other back in those days. Andrew: When you say, ‘fixed income trading technology,’ what do you mean by that? What did you do? Nicolas: [Electronification] of markets and fixed income [?? ], connectivity of products between certain fixed income solutions, trading platforms, risk management, and order management. I ran strategic for that company and another venture backed business that was electronifying and taking electronic, in many ways a market that is not to dissimilar from ours, the fixed income market, which the equity’s obviously are now about 98% electronic. Fixed income has increased in terms of how they’re traded electronically. All these various asset classes have gone more and more electronic and fixed income was one I was one . . .
Andrew: Equity, of course, stock market, fixed income . . .
Nicolas: Equity, stocks, fixed income bonds . . .
Andrew: Bonds, OK. You were digitizing the bond market essentially, the fixed income market and putting it online. Nicolas: Right. We were doing that, but we’re also creating connectivity hooks and tools between order management systems and risk management systems as well. We knew each other from those days and then they ended up selling LAVA to Citigroup and I ended up moving to another company called, Massive, which Microsoft bought in May of 2006. I ran Global [??] for that company that was actually more of a technology play in the sense it was a market place but for advertising and video games. We sold that in May of ’06 and when we exited the only other guy in my contact book that I was close with that had been through an exist like this was Justin, my business partner. He and I linked up in Santa Monica, met up at the Vice Roy there, had a couple of drinks. He had vested out of Citi at that point. I was contemplating whether I was going to stay at Microsoft or move on. Long story short, I decided to move on and we came up with this idea together. We’re looking at it as a market that we thought was very fragmented, inefficient, couldn’t understand why it hadn’t been electronified, taking electronic before. The fact that most people you look at and you tell them about this idea, their first reaction is, I can’t believe someone hasn’t done this before. Andrew: I’m going to tell you, I remember once we considered factoring in our invoice back at my previous company, Bradford and Reed, and I’d go into these guys’ offices to have one-on-one meetings with them and some of them would have these Ivy offices, others would have these beautiful offices but were weird locations. Every one of them is his own personality. Nicolas: Yeah. You just don’t have the time. One, you’re dealing with personalities. Two, one of the big things that we do is take the customer relationship side of what we do out of what we do, we don’t interface between our sellers and their customers, in other words. We leave that to our sellers because ultimately, customers are one of their, if not, their biggest asset for their business. One of the problems with the traditional model is this interjection of a financial player in the middle of that customer relationship and that is something that people typically people do not like. In the electronic world, we’re not about interjecting that element of it. At the end of the day the customer relationship stays with our sellers and I think that’s one of the reasons we’ve been successful. Andrew: Let me ask you this, these aren’t people who you bump into everyday. You can walk from here to the Metro or from wherever you are you can go five blocks and see a Citibank and see a Charles Schwab office and the others and that might get you to think, hey I wonder if I can do something in this space. You don’t bump into guys who factor invoices, who pay up cash for open invoices. Where would this idea come from? How did you decide there’s a market that we can grab? How did you even notice it? Nicolas: We knew about it. I had experience with it in running some of the companies that I helped to run where we were actually selling invoices the traditional way. When Justin and I looked at the market, we often joked that we knew just enough not to know why we couldn’t contemplate doing what we were contemplating doing. We knew just a little bit about the market, just enough, obviously we knew a ton about electronic markets. He was Citigroup’s strategic head of markets, or electronic markets for Citigroup when he was there…. Andrew: What’s one thing that you missed out on? What’s one thing that you walked into it being not smart enough to be aware of? Nicolas: In my past, you mean? Andrew: No. I mean now. Going into this new business, you’re saying you knew just enough to see the opportunity but not enough to see the obstacles. Andrew: Yeah. What did you miss? They all loved the idea. I’m sitting here loving the idea. What did you miss? Nicolas: Well, with any kind of marketplace, we didn’t fundamentally understand, even though the marketplace kept telling us, why sellers wouldn’t sell a certain way, and why buyers wouldn’t buy a certain way. One of the things we heard all of the time is that buyers would not buy invoices from people they’d never met, as an example. Clearly, that didn’t prove out to be correct. I think that fundamentally, it didn’t make sense to us, given what we knew about our other asset classes. Our people were buying and selling stocks from people they didn’t meet, and buying and selling bond from people they didn’t meet. We didn’t understand, just given the way that Receivables could be turned into a fundable unit of trade, we didn’t understand why Receivables couldn’t trade that way either. If you went to people in the industry at the time, the quote on quote ‘industry experts’ at the time, they would have told you that people simply will not trade this way. It has to be face to face. We looked at it, and we knew enough about other asset classes to say, ‘We don’t think that’s true.’ That was our fundamental belief all the way through, and it got us to this point. Nicolas: We think so. We looked at it. There were tweaks that we had to do. No one had ever built an electronic market for the buying and selling of invoices before. Andrew: For example, because you’re right. These guys, I remember, they wanted me to come into their office for a reason. One of the reasons was, they wanted to size me up. Who was it who is running this? Some kid who’s running a company? Is it some kid who’s running a scam? Who’s behind this invoice? Is it really going to be Walker Corporate Law, or Walker Corporate ‘La’, you know? La, la. Andrew: How do you overcome that? The buyers need to know who is selling these invoices, and the quality of the invoices. Nicolas: Well, in the electronic world that we live in, there’s just tons and tons of data. You can find a lot out about people now, versus 5 years ago, versus 10 years ago, versus 15 years ago. It certainly made sense 15 years ago to have to meet people face to face, because you were essentially flying blind. This is not true with the electronic mechanisms that exist today. Across what we do, when we commission, there’s a registration process. Between what the seller uploads about themselves and about what can be determined in the electronic world through various types of things like West Law, or Lexus Nexus. At the end of the day, people are just not flying blind by not meeting somebody. Andrew: I see. So you are saying that what they want is not to meet the seller of the invoices. What they want is security, and if I can give them more security than a meet and greet and a handshake, then they’re going to trust me maybe even more than they’re going to trust the one on one interaction. You need to give them data to increase their confidence. What kind of data would you pile into this marketplace to increase the trust on both sides? Nicolas: I would say data, and then also we gave buyers access to what I would refer to as portfolio theories. So there’s different ways that you mitigate risk, right? One way is through putting all of these covenants in and making people sign personal guarantees, and meeting them, and all kinds of things. We don’t do any of that, by the way. We don’t do personal guarantees. We don’t do all asset leans. One of the reasons is that yes, you can mitigate risk that way. In an offline world where there’s what we would refer to as asymmetric information flow, where one person knows more than the next person, those kinds of covenants may make sense. But in an electronic world, where there’s transparency, price discovery, transaction history, as well as the ability to diversify, by which I mean buyers can buy as little as 1% of an auction. So you could theoretically have 100 different buyers buying your $100,000 invoice. This is what buyers do in every other asset class in the world. Nobody goes and puts all of their money into IBM, no matter how great IBM is. It’s just not a very good investment strategy. It’s what we refer to as idiosyncratic risk. Things you cannot anticipate, versus systemic risk. At the end of the day, because we gave buyers the ability to diversify by buying pieces of invoices across a spectrum of different sellers, across different industries. That’s another mechanism that you use to diversify risk. In theory, you could have, besides the spectrum where you want to have all your eggs in one basket. By the way, the traditional invoice buyers that quite frankly what they do. They buy all the one invoices of a particular seller. They put all of their capital deployed into one particular seller, and they take extreme vertical risk along one seller. If you’re going to do that, you probably do need to have personal guarantees and all asset needs in place because you have a tremendous amount at risk, but if you’re only buying one percent of the seller’s invoices and spreading out your capital across 99 other different sellers, you essentially diversified your risk using another tool. And so, that’s an example of the kind of things that we saw that necessarily others didn’t see, which is the ability to diversity risk away through different types of trading strategies. Andrew: I see. So, you gave them diversity. You gave them data. What else did you do to combat this reluctance on buyer’s part to buy from strangers? Nicolas: Well, in addition to data, the price discovery; transaction history is a big piece of what we do. Andrew: Ah, transaction history, right. Then, you can see if the person selling this invoice has sold invoices to pay off over time. Nicolas: Right, and how they take to pay and so forth and so on. And then, also, ubiquitous information flow, by which we mean all buyers get the same information at the same time which is integral to any marketplace, including ours. And then, around this electronic environment you put rules and procedures that govern how people basically buy and sell with each other. You basically just let the buyers and sellers do what they do together, and that’s how it works. Andrew: All right. So, that’s how you overcame one of the biggest challenges in the business. Let’s go back in time and see what the first thing you launched is. Now, you might have heard about Eric Ries and Lean Startup movement, the idea that you want to build something lean, a minimum viable product, and put it out on the marketplace and get feedback and so on. In your space, I can’t imagine that you’d be able to create a minimum viable product. Maybe, you can. Eric may tell us differently. Andrew: Why did you feel you had to launch? Nicolas: You can’t build half a market. Andrew: You can’t. You’ve got to build the whole thing, and it has to work. Andrew: On day one, what did you need to have, what did you launch with on day one? What was that initial product like? Nicolas: A lot more than we should have had. Andrew: Tell me about that. Tell me, including something of what you learned that you shouldn’t have had? What was the first version like? Nicolas: In the reality of launching a market where no one has traded an asset class before, there are no guidelines. There’s no rule book on how to do it. And so, we spent a year and a half, almost two years designing what we ultimately took live. So, we raised an A round about a year and a half before we did our first trade, and we very aggressively thought, when we launched and when we put the biz plan together, it would take six months to put together, sort of a rudimentary marketplace where people would trade. And what we learned fairly quickly was what I just said, you can’t build half a market. There’s components to the buy and sell side where there’s the movement of funds, what I would refer to as cash management which is extremely complex and has to be 100% accurate. You can’t have even a penny missing. In order to do that, there’s just a lot of complexity technically in operation that you have to solve, and that’s why it took us a year. Andrew: Sorry. There we go. You thought initially that it would take less time to build it out. What did you imagine would be in the first version? What did you imagine it would be, not what ended up in there? Nicolas: Well, I know we’re going to get to the weeds pretty quickly, but it came down to more back office kind of solutions than the front. The front was pretty much the same, the user interface, what the buyers and sellers ultimately see has really not changed that much, quite frankly. It was designed to be simple and easy to use, and I’m intuitive and I think that’s what it is. But on the back side, the infrastructural side when you go from moving a million dollars a month around to moving multiple millions of dollars a month around, and remember you’ve got sellers selling multiple invoices so a single auction can have four or five, typically does have three to four different invoices in a single auction. You typically have three to four different buyers buying that auction. You can see from the number of data points why this has to be electronic. You have multiple buyers buying multiple invoices at different amounts and at different price points. The connectivity that’s requiring and matching engines in the background all have to sync into the movement of funds is complex and could be extremely, if not electronic, human capital intensive. Andrew: I see. So that’s something that you didn’t anticipate but before you launched you recognized that you needed to include this in the first version and then kept going until a year and a half out and that’s when you launched the first version. Nicolas: I think it’s what we didn’t do, but also I think we ended up doing it in many ways the right way almost accidentally. You can’t take things overly electronic initially when you don’t fully understand what the absolute [??] are going to be. In many ways what we did was we built out the front end component with a lot of the operational processes being more human intensive, and once we solidified what those processes were we started methodically taking those electronic. I think as a result we ended up with a better solution because we only took those things electronic that we knew that we had right. As such, it’s a lot easier to build something and get it right than to have to fix it and pull it out. That could have had a lot of cost associated with it. Andrew: Nick, I’ve been hearing a lot about that from entrepreneurs that first they have stuff done manually to make sure that it’s calibrated just right, that it’s even necessary, and then once they get it right they automate it and they bring it to software. Nicolas: I couldn’t have told you without this particular experience that that’s exactly the way to do it, but as it pertains to marketplaces, that’s exactly the way to do it. Andrew: Do you have a specific example of something you did very manually and calibrated manually before you locked it into software? Nicolas: Yes. Moving the funds. We generate thousands and thousands of reports daily and those reports are utilized by our buyers, by our sellers, by our operational groups. Without that kind of electronic reporting mechanisms in place you’d have people endlessly calculating information and you just simply wouldn’t be able to do the kinds of volumes that we do. At the levels we first started, those volumes were manageable so there was a lot of human calculation going on. At the levels we are now, that would not be manageable. Andrew: I see so the movement of funds, meaning collecting money and then moving it into the right account, that was done manually? Nicolas: That’s all happening electronically. At the end of the day, as well as the reporting that comes out of it, that’s a lot of information. We are talking about millions and millions of dollars a day, made up of invoices sometimes as small as $10,000. It just is a lot of data. That simply has to be taken electronic. Nicolas: Not on your side. On your side it would have seemed electronic. On our side it was manual. Andrew: On your side. I would have thought, ‘hey, I gave these guys my information, the money is being handled by computers,’ but really it was a person who saw my information who processed it manually? Nicolas: In the beginning that’s the way it was, yes. Andrew: That is amazing. OK. That’s incredible. How many people did you need in order to do that? Nicolas: When we launched we were around 25 people, and now we’re at 75 people. But you’ve got to remember that we get exponential value out of each person as we take more and more of our processes electronic. What one person could have done two years ago, now one person can do 10x, 20x that just given the business intelligence solutions that we have in place. The idea is that you take more and more electronic and that one single person and operational component of what we do can do magnitudes of what one person could have done two years ago. That’s where we are today. Andrew: The exchange had a different name when you launched. What was that name? Nicolas: If it did, or didn’t? Andrew: Or did it have it? Nicolas: No, it’s always been the Receivables Exchange. Andrew: What’s the New Orleans Exchange? Nicolas: The New Orleans Exchange is our parent company. Nicolas: In fact, I’m sitting in a building called The New Orleans Exchange Center which they named after us. Our parent company is the New Orleans Exchange with our initial product being electronic [??] receivables so, Receivables Exchange. Andrew: I see. Why the different names? Nicolas: Well, obviously there’s other products that we could go into some day. Andrew: I see, OK. So this is you planning for expansion from day one. Andrew: Got it. OK. So I see what the software was like, I see what the people were doing, and I have a sense of it. Obviously it’s much bigger than what we could cover in 28 minutes of conversation (which is how long you and I have been here during the pre-interview). What about then getting the invoices and the buyers into the system? How do you get those in there for day one? Nicolas: Well, the invoices, the sellers get into the system on their own; it’s all electronic. The sellers go through a registration process and then once completed, basically they could do it all themselves. We have a sales and training group up in New York where they can call into, get advice on whether it’s uploading of invoices or whether it’s . . .
Nicolas: We got a ton of press in the beginning. We were in USA Today and Inc. Magazine and most of these publications before we even went live, which was amazing. And so we started taking registrations for sellers even before we went live, so we had quite a buildup of that. And since then obviously we’ve developed much more sophisticated marketing techniques. I’d say word of mouth is a pretty good one for us. You know, sellers typically refer other sellers. But we try to be omnipresent in the space to make sure that people will realize the solution exists. It’s the kind of solution that once you find out about it and you try it, it seems pretty intuitive. But you know, the trick for us is to making sure people find out about it. Andrew: OK. So press, and I’m assuming you just had a PR firm there at that point to help you. Nicolas: We actually fairly quickly had internal PR and internal marketing, just given the fact that getting customers into the business in the beginning to get traction was a big part of the success, the metrics necessary to go to the next level. Andrew: What’s one big thing that you learned about PR from this experience? Nicolas: I mean, look – for us PR has been an incredibly valuable tool at the end of the day. I don’t know that it’s as valuable for all companies. From our standpoint it clearly drove the business in the first year, and that may have been as a result of the credit crisis that was going on at the time. Andrew: I see; that there was lots of people that needed this. Nicolas: We were a very relevant story at the time. Andrew: Did you learn anything about it? Like, did you learn that you needed to sum up your message in a sentence; did you learn that you needed to tell stories? Did you learn that you needed to just keep smiling even though the reporter was insulting you? Was there any one thing that stuck out as: ‘I took that away from this one experience. I’m never going to forget it because it was too powerful to let go’? Nicolas: Well I think you have to – look, if you fundamentally believe in your product and you have a passion for it, it’ll come through in the PR that you do. And so I think that our PR strategy at the time really was, ‘just go tell the story that we believed in.’ Explain to people why we were as passionate about what we are doing; why we were that passionate about it. Andrew: I see. You just needed to know to tell people why you were that passionate about it? Nicolas: I think so. I think, just tell the story. Andrew: Sometimes entrepreneurs will get so passionate that they have a hard time articulating it. I don’t know if you noticed it, Nick, but in this interview I was having a hard time articulating certain questions, and I’ve come in here prepared and you and I are, like, friends. Andrew: But beyond the passion what did you do to get your message out there clearly enough that all those entrepreneurs and all those businesses would come over to your side? Nicolas: Well, you’ve got to be relentless. I mean, you’ve got to be just – it’s amazing how powerful just picking up the phone and calling someone directly and telling them your story can be. I think a lot of people sort of walk away from that thinking, well, it will never work. But I’ve got to tell you – for the first six months to a year it was Justin and me picking up the phone and calling. You know, reading an article and calling up a particular writer or a particular editor, saying, ‘You’ve got to hear this story!’ and selling them the story directly. Andrew: And how would you find the writer or the article [??]? Nicolas: It was just reading articles; just reading Inc. or Fast Company or reading Business Week or whatever it was, or and finding people that were writing about stuff that was relevant to what we were doing and then just contacting them directly. I think people underestimate the value of the direct conversation. It can go a long way, especially when you are passionate about what you’re doing. Andrew: OK. All right, yeah, of course, and if you’re the entrepreneur behind it also, and if you’ve got something that’s so different that not every kid in a garage can create overnight, then it’s something that reporters are hungry for. They want something, though, I imagine. Nicolas: Yeah. I think, you know, they always say better to be lucky than smart – I guess it’s probably better to be both. But I think that the, you know at the time with the credit crisis the way it was, the story was so relevant that we pretty much could have called anybody and people took our call and wanted to hear about it. So, in that regard we got lucky. Andrew: All right. So, we found out how you got that side of the marketplace. I imagine the guys who had the invoices were the easier people, especially in this market, to get. The buyers were harder, right? Nicolas: You know, everyone has a different view on that. What’s most fascinating to me about it is that everyone falls into one camp: either the sellers are harder or the buyers are harder. Quite frankly, they both come with their respective challenges. The sellers love this market for different reasons than the buyers. I think that the buyers love it. We’ve been very successful on the buy side. We’ve been adding five to six new institutions per month for quite some time now, and I think that’s accelerating. So, I think in many ways it’s a diversification play. I mean people obviously know a lot about equities in the bond world, not a ton about the receivable world. It’s a very attractive asset class in a lot of different ways. Andrew: How do you talk to them? Nicolas: Initially, that’s very much principle to principle. There’s obviously a lot of press about us now with things that we have going on, so more and more people are reaching out to us. But, for the first 50 or so buyers in that first year, year and a half, I think a lot of it was attending hedge fund association meetings, meeting with various groups, just going face to face with these principles, explaining to them that the asset class existed and what the benefits of it were. So, a lot of face to face with these guys for the first group. Now it’s probably take on. We probably have equal outgoing, reaching out to people equally as much as people are reaching into us, but in the beginning it was very much principle to principle. Andrew: You told me about how with actually getting the sellers, PR was key in the early days . And getting PR, the key there was to call up the reporter and just express your passion. When it came to the buyers, what was the key? What was the one thing that helped you get them to sign. Nicolas: Well, with institutional buyers, you’ve got to remember you’re talking about a caliber of buyer that’s very well informed, highly intelligent. Typically, if they’re going to be successful institutional buyers, they know the world that they’re in fairly well. So, I found that the most important element is tell them exactly as it is, don’t sugarcoat or embellish. They’re smart enough to see through any of that. Get to the point directly about what the benefits of the asset class are. So, it’s probably much more of an objective conversation in terms of getting buyers there, because at the end of the day, you’re talking about people who buy and sell things for a living. So, they want to know the facts, they want to know them quickly. They’re very busy. So, I think our ability to take that approach to the buyer’s side has served us well. Both sides, by the way, I think the most important element is trust, gaining people’s trust in the terms of the way that we do things: again, equal information flow, ubiquitous information flow, the professionalism with which they’re treated. All those things are lumped into the trust category. I think when you’ve got millions of dollars flowing around daily, trust, both again from the seller: trusting you with their invoices and their revenue, and trust from the buyer that it works the way that it’s supposed to work. Both of those things are integral to getting them signed up. Andrew: By the way, were you the person who went out and had those conversations with hedge fund managers, with the guys who made investment decisions? Nicolas: In the beginning, yeah, both seller and buyers. And I still do. I mean, that doesn’t change. You know, we have so many sellers now it’s hard to do as many as I’d like, but I speak to as many sellers, CEOs and entrepreneurs that sell through us on a monthly basis as I can. It’s called my pulse list. I reach out to them and just make sure that we’re doing what we’re supposed to do and that they’re satisfied. I had a couple of them today, in fact. On the buy side, too, we definitely spend a lot of time with them, getting to know them. Now, these days we have a team for both sides. There’s a buy side team and a sell side team, but I still get pretty actively involved. Andrew: Because you’re running this big financial marketplace, I expected you to be in a suit and tie. You and I chatted before the conversation started on the phone, and you said, “Is it OK if I wear the hat?” I said, “Absolutely, sure.” Tell me about the dress code. Nicolas: Well, I mean I probably should be in a suit. They do me dress me up quite a bit. Obviously when we rang the New York Stock Exchange Bell last week, I was in a suit. I’m here in my office in New Orleans and we have relatively casual attire, but at the end of the day we suit up from time to time. We have about 20 people in New York, and that’s much more of a time suit location just given where it is. Andrew: The photo that Ari included here in my research. You’re not only wearing, I can’t see if you’re wearing a tie, but you’re wearing a nice jacket, great shirt. You’re wearing glasses, too. Nicolas: Yeah, a little fun fact about me. I’m blind as a bat. [laughs] I was told one time by somebody that was trying to give me advice about television and things like that, because we were doing more and more of it, and she turned to me and she said, ‘Two words of advice for you. Don’t wear glasses and lose weight.’ I typically try not to wear glasses on television, but when I’ve got people far off, like you did at the top of that balcony, it’s just a little more comfortable being able to see everybody. Andrew: I have to tell you, the glasses look great. I hope Ariana, with the picture she’s going to use when she posts this interview, I hope she uses this picture. This is a great looking picture and I want people to see the glasses. Alright. Some of the things that you told me that you had to reassure buyers, I can’t imagine having on day one. Did you have much diversity to offer them? Did you have any information on track record of the sellers to offer the buyers? When you’re launching, in the beginning, you don’t have a lot of this stuff. Nicolas: Right. It’s very difficult. It just sort of trickled in. It started with one trade and one trade lead to five and five to ten, and fifteen. It just sort of grew from there. We turned it on after close to two years of building and trying to think through everything. Fortunately for us, it worked, and it did as advertised back then, as it does today. Andrew: But if you didn’t have the track record, if you don’t have all of the data, how did you still reassure them and get the buyers on board? Nicolas: Well, I think at the time people were probably looking at it more experimentally. I think people were looking at it as an interesting asset class. ‘I’ll check out what these guys are doing.’ It was a couple of crazy guys down in New Orleans that were thinking about starting this market. ‘I should check it out.’ It fairly quickly morphed. Six or nine months into it, it fairly quickly morphed into fairly significant volumes. As such, I think that it just built on its own. I think there was definitely that period of time in the beginning where you don’t have those elements. What you’re talking about is how do you prime the pump so that you can develop that transaction history and things start to happen? All I can tell you is that it started off slow and it improved very, very quickly. We took that to mean that we were doing things the right way and that as we were executing through the process that we just continued to build the trust on both sides of the equation. People just kept coming back from the sell side and kept coming back from the buy side. That’s really the way we operate today. We’re always trying to make sure that the experience of the platform is exactly what people are looking for, and we do a lot of different things to make sure that’s true. If we do that, we believe the growth will continue to be there. It’s a $17 trillion market. We’ve really just scratched the surface. From our standpoint we’ve got a lot of exposure. Andrew: $17 trillion, and you have $1 billion. There’s a lot of room for growth. Nicolas: There’s a lot of room for growth. Andrew: $17 trillion. Does that include every single invoice out in the country? Nicolas: Well, it includes every B to B invoice in the country, so from our standpoint it falls into our overarching market category. Worldwide, obviously, it’s much bigger. Mind you, the U.S. market is actually smaller than a lot of the markets out there. The European market in many ways is much more mature. Andrew: Do you know the size of the market that’s being factored right now? Factoring means getting money on your …. Nicolas: Offline invoice factoring world is, depending on who you ask, somewhere between $150 and $200 billion. Nicolas: Yeah, but the interesting thing about us is that we don’t really, factor is sort of the closest and easiest in a descriptor for what we do, but it’s actually a substantially different product in a lot of ways. We actually look at the overall business financing market. If you look at bank lines and revolvers, people sort of automatically default to the factoring space. But if you look at bank lines and revolvers, the collateral being used there are also invoices, also receivables. We have a saying around the office saying that ‘Receivables are like air.’ They’re everywhere. People just don’t think about it. Whether you’re talking about factoring, or whether you’re taking about bank lines and credit, or whether you’re talking about revolvers or bank loans, or whether you’re talking about securitizations, you’re still ultimately, in part, talking about receivables. You can call it factoring, you can call it bank line, but the one underlying thing in common is the use of receivables as collateral. We are an alternative to all of those solutions through the use of receivables. My personal view is we’re no closer to the factoring than we are to bank lines. I would argue in many ways we’re closer to bank lines than we are to factoring. Those are just things that people recognize by name. Andrew: I’m going to ask you this: I’m watching you, I mean beyond listening to the words, I’m watching you. You’re a confident guy. I just did an interview with the author of this book, ‘Uncertainty,’ and we were talking about how entrepreneurs have this sense of uncertainty about the world that they’re creating, about whether they can pay the rent, and so on. I’m saying to myself, “Does Nicolas look like a guy who’s ever had that?” No. You must have. Did you? Nicolas: You can rest assured I never lost faith in the vision of what we were trying to create. That’s ultimately what kept Justin and I moving toward execution and executing ultimately to where we are. Andrew: But when was the point when you felt uncertain? When you felt like, “Oh man, this is not going to work out, I’m going to be a failure, this is going to be a failure.” Whatever your thought was. Nicholas: We were raising our B round about 15 days after the S&P hit, I don’t know what the low was in 2008. Most of these VC’s were not taking phone calls let alone deploying capital at that time. There was certainly a moment there where you thought, ‘well, the venture capital spigot is off,’ but we made it through for a bunch of different reasons. Andrew: Before you talk about how you made it through, on a personal level, how did you handle that? I know that I might freak out, I might say, ‘this is over,’ actually I don’t know how I would react. How did you react? Andrew: You never lost faith? Nicolas: Never. I never thought for one second that what we were trying to accomplish wasn’t going to happen. I had questions as to whether we were the guys that were going to do it, but I never lost faith as to whether the solution was the right one at the right time. Andrew: Doesn’t it make it worse to think, ‘boy, I know this is going to happen and if for some reason before the market is going this way or that way or this other way, we may not be able to pull this through and I’m going to have to shut this down and let go of a bunch of people and let go of this vision and someone else is going to pick it up and they’re going to be seen as the hero.’ You ever go through that? Did you ever have sleepless nights at this company? Nicolas: Well, do I have sleepless nights? Yes. We don’t go through that anymore. We have sleepless nights over missed opportunities and things like that where we stay on our game, we look at ourselves as being in the playoffs, to use a football analogy, and want to go to the Superbowl really badly. From that standpoint you always have to show up every day to play. Andrew: Can you tell me about one time when you went through that? Just so I can feel like I can relate to you and I feel like I’ve gotten to know behind the scenes the person who I’m talking to. Nicolas: Well I think that you have to have, at least I’ve always had and my business partner Justin has always had, a view that you show up every day and you leave every day, and if you haven’t created value on that day, forget about that week and that month, if you haven’t created value on that day, then you didn’t do your job. There’s definitely moments, certainly in 2008, when it was very challenging to try to create value given everything that was going on. You have to, quite frankly, just put one foot in front of the other and execute and be unwavering in your willingness to go the extra mile to make things happen. The people around you will feed off that energy and in many ways when you’re the founder or head entrepreneur people are counting on you to make sure that you’re doing everything else so that the time the time that they’re allocating to it is a valuable use of their time and is successful. People are counting on you to execute, people are counting on you to show up, people are counting on you to never lose that vision. As such, you simply cannot. Nicolas: It just comes down to, I don’t know if it’s a personality trait or whether it’s learned or what it is, but you certainly need to have that kind of focus otherwise you can get sidetracked. Andrew: When I was talking about Bradford & Reed, I remember as soon as I hired the first person in the company, I had no chance to start to feel bad or start to indulge in my insecurities because now there was someone who is counting on me. Now there is someone who believed enough in me to come and follow this vision. I can’t Enough in me to come and follow this vision, I can’t let those insecure thoughts take over. Nicolas: Well, you know, that’s true in a lot of different fields, not just entrepreneurialism and start-ups. I just read a book about Dwight Eisenhower and General Patton, during World War and it talks about Eisenhower, you can imagine the pressure he was under, right? I mean, the fate of the free world. Nicolas: At the end of the day he had the same commentary, which is: keep his own counsel. You know that his concerns and sleepless nights and insecurities and fears were reserved for himself and his pillow and that was it and that’s where it ended. I think that’s true in any leadership position. It just takes sharing some of your insecurities with someone in the business world to realize that definitively has to stay and be maintained as your position. Andrew: You’ve had prior success too, that helped, right? Nicolas: Yeah, I did. I think the biggest part of prior success, other than just sort of the credibility factor that goes along with it is once you’ve actually seen an idea. I think the most powerful an entrepreneur can see is an idea. And even at Massive, and we were Massive, I wasn’t the founder or CEO of Massive, but I remember when we were doing it, there were a lot of people that would come up and talk to us and say: this is never going to work for this reason, for that reason, and spew off a bunch of reasons why it was going to fail. It’s a difficult thing to handle, especially when you’re just a manager and it’s not even your vision, you quickly learn to adopt a vision and I did at Massive very much adopt a vision and that powered me through that. But I can remember a year, year and a half of people telling us why it wasn’t going to work. When it started to work, and I remember there was this distinct moment in time when you started to realize from an industry stand point that it was going to work and that it was really gaining momentum. That obviously fed you and energized you. But once you have a moment, and then obviously we sold it to Microsoft and it was six. But once you have a moment where you see the detractors, and that’s why I said earlier on, one of the things when I lecture at some of these B schools that I lecture at, the first thing I say is, and you know I said to you earlier in the interview: if you have an idea and everyone you tell is like, that’s the best idea ever, definitely going to work, you know you’ve got to do some pretty deep searching into that one. Because my view is, the ones that work the best are the ones that you tell a bunch of industry people and their like, there’s just no way that’s going to work and yet you intuitively know that it should work. If you can find one of those scenarios and watch it work, like I did with Massive, I mean I watched Massive go from things that people were critiquing to ultimately something that sold for quite a bit. At the end of the day, once you see that once, it changes you forever. You’ll never look at anything the same way again, especially when people are telling you why something won’t work. And so, I think to me that’s been the most powerful thing. Andrew: You had a big chunk, or a significant chunk of Massive when it sold, right? Nicolas: I had a sufficient chunk of Massive when it sold. I was so happy. Andrew: How did your life change after that? Andrew: How did your life change, personally, change after that? Nicolas: Well, obviously you find yourself in the position where you can take your time to figure out, well I took some time off. Andrew: What did you do in your time off? I’m trying to get to know the personal you, like what do you do with that time? Do you go sailing, do you? Nicolas: Well I had a long list of things I wanted to do and I did very few of them. I wanted to learn Mandarin. I wanted to learn how to fly and I wanted to learn piano. I started with the Mandarin, still one of my goals, not very far with it. The flying and the piano sort of go by the wayside. I really, it was more of an R & R. I kind of look at these initiatives when you do a start-up, you sort of have to train for them. I actually got into some of the best shape of my life with training five to six times a week. Got into great shape, just sort of rested up and knew that this is what I do and that I was going to do another one. Sort of prepared as you would maybe say for a triathalon, or something like that to get ready for the next one. So, I sort of took my time trying to do that. And then, I am not in the shape I used to be four years ago so I suspect hopefully one day I can do that again. I took time off, I rested up, I got ready and geared up for the next one and that’s what I did with my time. Andrew: And then started the next one. New York Stock Exchange, you mentioned ringing the bell, I didn’t give you a chance to talk about your relationship with the New York Stock Exchange. Nicolas: Yeah, it’s a great validation for us. I mean obviously they’re an iconic brand for us to associate. I mean with you think of Capital Money Markets you think of, quite frankly, the New York Stock Exchange. Andrew: They acquired a minority interest in your business. Nicolas: They have taken a stake in us, and then we’re co-launching a large corporate receivable program which they’re going to be taking out to their list of companies, so it’s exciting. It’s a similar product, and they just hired the former CEO of GE’s Working Capital Solution Group to run that venture for them, so it’s a very exciting, and it’s a great validation of the model. Can’t really think of anything, other than having kids, that was more exciting recently, it was amazing. Andrew: Are you the kind of kid that when you dreamt of visiting the New York Stock Exchange, and maybe one day ringing the bell? Is this that kind of fantasy for you? Nicolas: Yeah, I started as a cold caller in the equity markets when I was about 16, 15 years old. My mother came over from Hungary and was a big proponent of me reading The Journal. I think I started reading The Journal at 12, 13. I probably started investing in the stock market when I was 15, 16. I started as an equity cold caller when I was 16, worked my way up to the corporate bond trading desk during my summers, so I have always been in and around The Street in some capacity or another, sort of a securities way to get back to it through a bunch of different things, but being in technology and finance, it is a perfect place for me right now. I couldn’t be happier. Took a long time to get here, but absolutely all worth it. Andrew: This is heaven. I’m going to ask you one more question, but first let me tell the audience, actually you raised $29.8 million dollars for the business, right? For the receivables exchange. Nicolas: I think substantially more than that. Andrew: More than that at this point. Nicolas: A, B, C and obviously non-announced capital has come in the business, so we have raised more than that, but that’s the disclosed number. Andrew: From pretty incredible people, too. Who are some of your early investors? Nicolas: Red Point, who are the guys behind Netflix, and A-CAPITAL. All of our investors are phenomenal. Andrew: That was A- CAPITAL, you said. Nicolas: A-CAPITAL, yeah, Prism came in on the A, at each one of our levels of fundraising, we got exactly the right group at the right time. I think we’re one of those really fortunate venture-backed companies that looks at investor based and thinks, ‘We got exactly the right guys at exactly the right time.’ I don’t know that every BC backed company thinks that way, but we certainly do. I don’t know where it falls on the list, but we have a long list of things that we got lucky with. All I can say is we’re happy to be lucky in that category because it can certainly go a different way. Andrew: Before I ask you the final question for the audience, if you are interested in raising money you guys know Oren Klaff has come here and he did a great interview. I hope you go and download it. If you’re a premium member go to mixergy.com/premium and get the Oren Klaff course on raising capital. He talks about the process that he goes through when he raises capital. He talks about the documents he creates. He shows you the documents. He shows you how he interacts with investors now after having years of experience versus how he did it before. It’s a phenomenal course. If you’re already a premium member it’s in your package, go to mixergy.com/premium and get it. If you’re not, I hope you’ll join us. We’ve got tons of courses by proven entrepreneurs. They just teach you what they’re really good at. They flip on their computer screen, they let you watch as they teach you, and they show you what they do well. In Oren’s case, he actually showed you how he created a document and how he thought about the process of raising money, all on the screen. Here’s a final question: you are now named top e-commerce company in the world 2010 by the Wall Street Journal, constantly steady growth in the business since 2008. Phenomenal success story. What’s one piece of advice that you have for other entrepreneurs who are watching us, who have watched this whole interview, if they take one thing from you what would that be? Nicolas: There’s only one thing, It’s never quit. You just have to push through. This is hard stuff, so, I think that if I look at all of the times through this process where I thought, ‘Man, is this worth it?’ My business partner Justin and I often joke that we’re glad we didn’t know how tough this would have been to build because we never would have done it. You have to anticipate that kind of intensity, but it is a very intense, all-consuming type initiative no matter what you’re doing. If there’s one word or if I have to give one piece of advice, it would be never quit, never give up. Andrew: Never quit, never give up. Worked for Churchill and the UK. Nicolas Perkin, thank you so much for doing this interview. You’re one of the few guests here who I don’t have a friend in common with, you just saw the process, you saw the project here at Mixergy and you said, ‘I want to help,’ and I appreciate it. One more thing. I wrote here a note to ask you about the much more sophisticated marketing strategy. One of those things is, you give $5,000 to anyone who finds a new customer of the site. Nicolas: Yeah, it was exciting. We call it the Rapper Program. It’s the Receivable Adviser Program. Basically, individuals can sign up and if you refer companies to the platform and they trade, you get a commission on that. It’s a pretty cool program. It works really well for us, and you get people signing up from all over the country. I’ve got people out there who do it for a living. It’s been great for us. Andrew: You know what? This is one of those times when I feel like my journalistic integrity might be getting in the way of me doing really well because I think my understanding is [??] just going to link naturally. I will tell people this, though. Really. Here’s where the journalistic integrity I think helps. They don’t have to go to my website and click a link so I could get credit. Really, they should just go check out the Receivables Exchange. We’ll link to it directly, but you guys can go to Google and find it. Everything we’ve talked about is a website you really should go and check out for yourself, and a world that you should go and check out. Really, even if you have no interest in this, this is a hell of a company they’re building in a way that’s really inspiring. I hope you go check them out and keep following their work beyond this interview. Nicolas, thanks for doing this interview with me. Nicolas: I can say with all honesty I really, really enjoyed this one, so thanks. Andrew: Thank you so much. Fast Customer – Never wait on hold again. Next time you call a business that keeps you on hold 30 minutes, try Fast Customer on your iPhone or Android instead. They call the company for you, get a real person on the phone, and then connect you. And if you’re a company that doesn’t like keeping your customers on hold, go to Fast Customer now and partner with them.